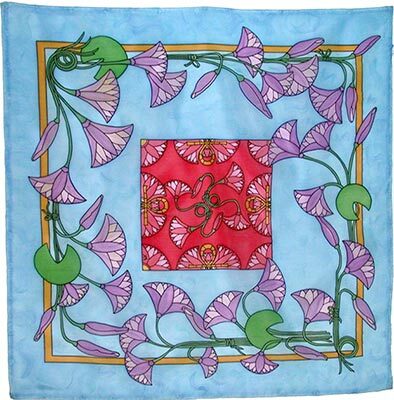 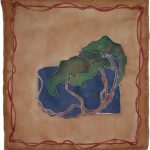 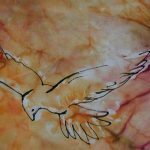 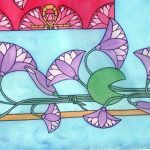 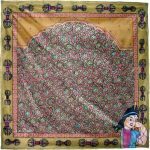 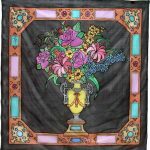 Painting on silk is an artistic medium which is displayed as translucent window décor, decorative wallhangings, or wardrobe-enhancing wearable art. 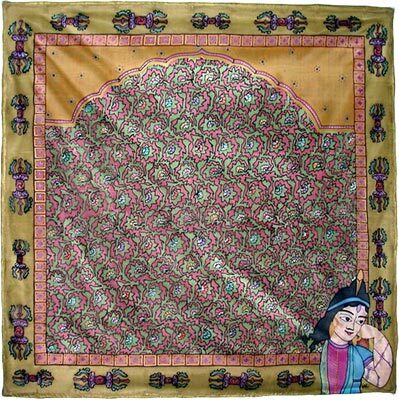 It can be traced back to the 2nd century AD in India. 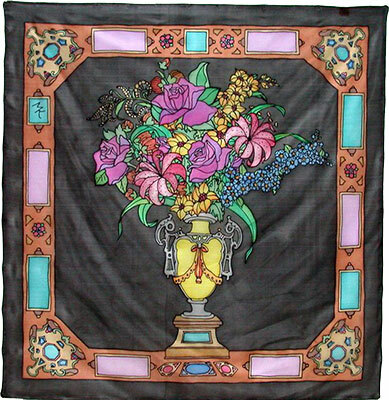 The timeless appeal, elegance and style of the silk fabric speak volumes about this exquisite art. 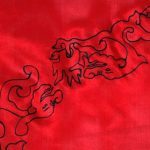 A special characteristic of this medium is that the brilliant, water-based, non-toxic paints are absorbed by the fabric and dry soft to the touch. 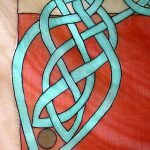 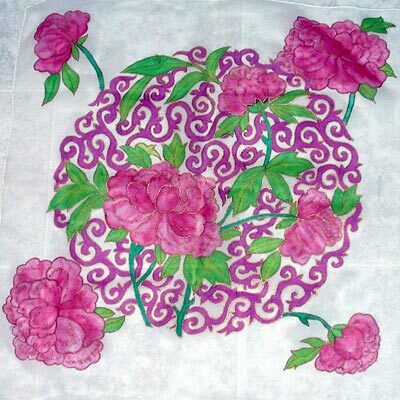 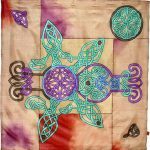 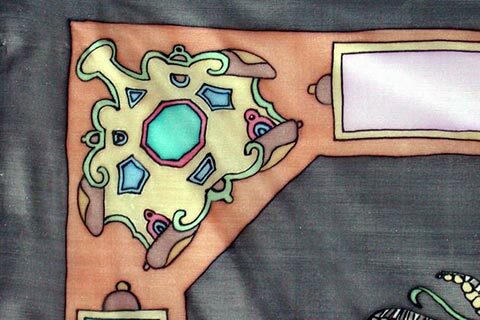 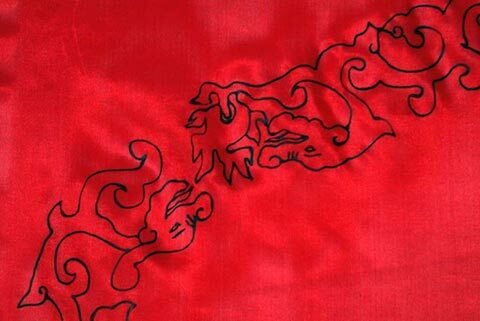 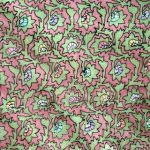 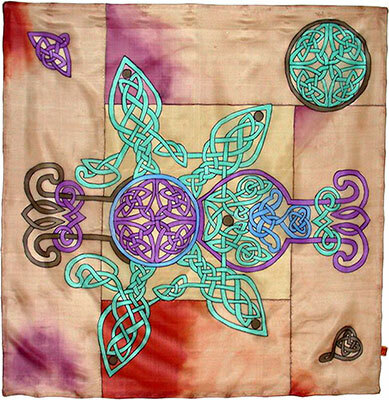 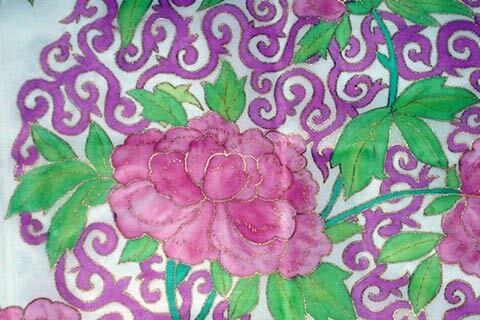 My favorite technique is called “Gutta” technique (also called blocking or resist technique), which involves drawing fine lines of gutta onto the silk to outline the design. 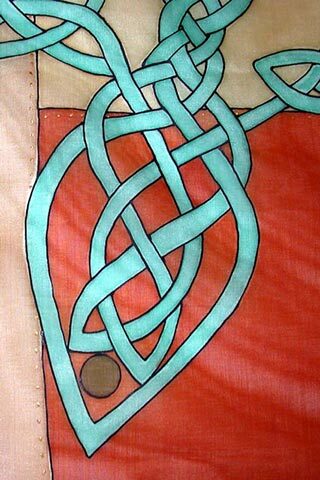 These lines then stop the paints from flowing into each other. 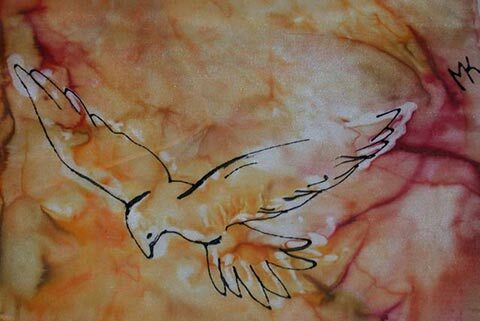 Each painting starts with a white piece of silk. 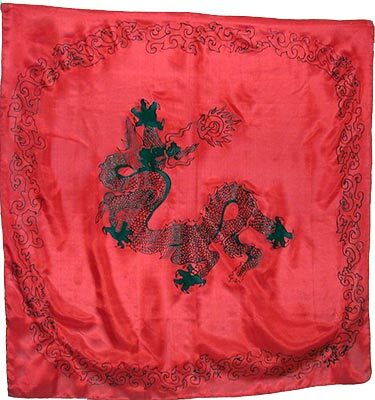 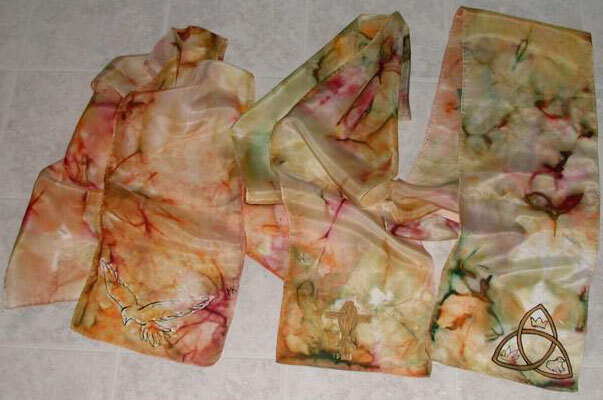 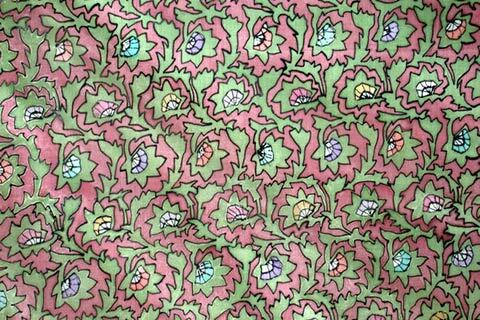 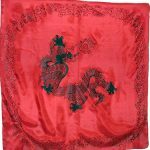 Silk scarves are fade resistant and washable (cold hand wash). 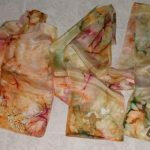 Although I started painting over 20 years ago to widen my choices of scarves, I have learned, and very much enjoy, the versatility this medium provides. 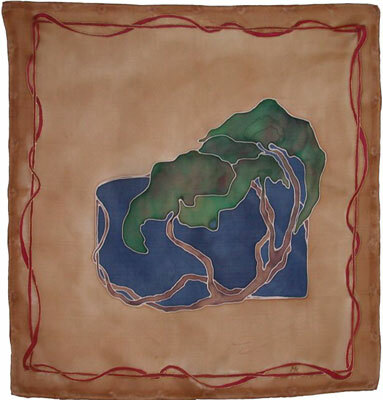 A desire for newness animated my appreciation both of careful craftsmanship and of the spontaneity of painting itself. 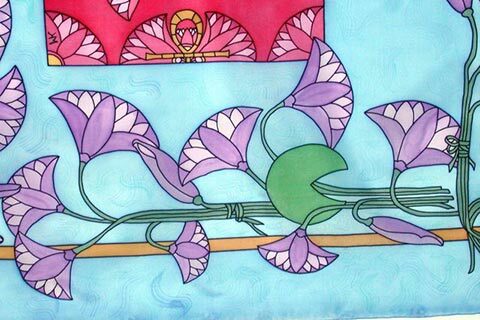 I get inspired by many things surrounding me and there is no particular style or genre that I limit myself to, although Art Nouveau is my favorite. 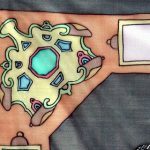 I also create unique art pieces by custom order to reflect each person’s style. 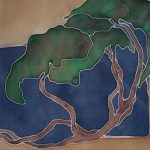 Some original pieces, already made, are available for purchase in such boutiques as Creative Connections Gallery in Ashburnham, MA and the Petersham MA Arts Center. 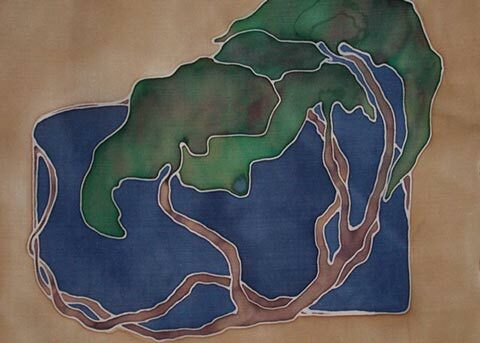 Artwork copyright © Marion Knoll. 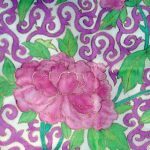 No images may be reproduced in any form without written permission.